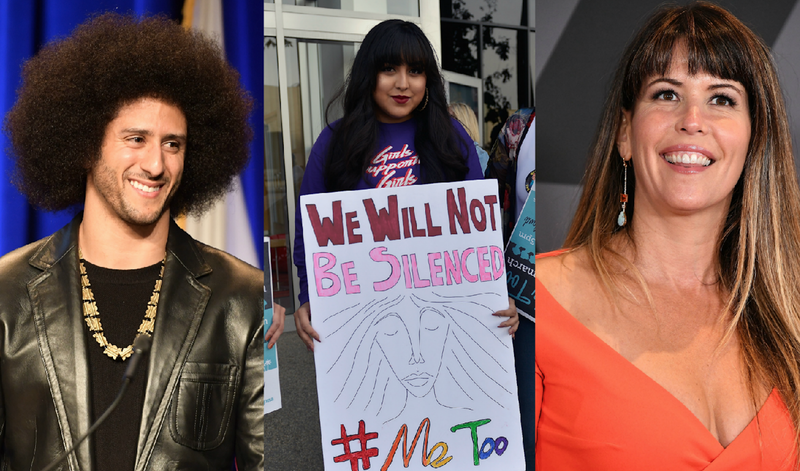 The shortlist for Time magazine’s Person of the Year award is out, and there are some really nice surprises included on it. Not surprising is Donald Trump, who probably deserves to be there based solely on his political and cultural significance, but still, ugh. Again? On the list along with Trump, though, are some seriously deserving individuals. There’s Patty Jenkins, the director of Wonder Woman, which had the highest-earning domestic opening for a female director ever. Jenkins is an unapologetic feminist, and her movie is a rallying cry for girls everywhere who needed a superhero of their own. She would be a majorly deserving Person of the Year even though she’s probably a little bit of a dark horse to nab the actual title. A more likely winner (and someone just as deserving) is Colin Kaepernick, the former quarterback for the San Francisco 49ers who is infamous for taking a knee during the National Anthem as a protest against the police brutality black Americans face. Many others have now followed Kaepernick’s lead and protest during the anthem, but he opted out of his contract because it seemed likely he was going to be released anyway and recently sued the NFL for collusion among owners preventing him from signing with another team. One possible (and deserving) winner of the title that isn’t technically a person is the #MeToo movement, which began during the 2016 election when it was revealed that then-candidate Trump had admitted on tape to sexually assaulting women, but really picked up steam in the wake of the Harvey Weinstein scandal. Thousands of women have now used the hashtag to show that sexual assault and harassment are more pervasive than many men ever imagined. Time will announce its Person of the Year winner on Today Wednesday. Let us know in the comments who you think will take home the title.